Added a second method of downloading programs to the robot controller. 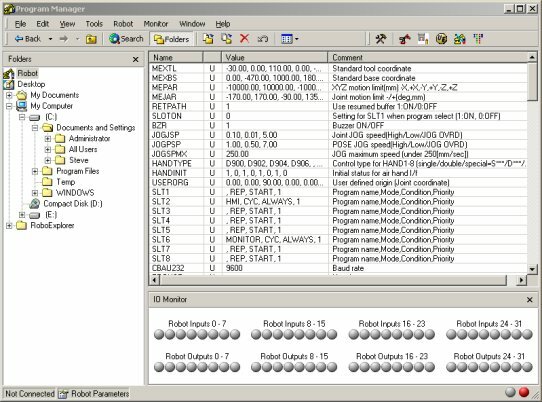 The program is downloaded one line at a time and the line is displayed on screen. Although this is a slower method it has the advantage of highlighting the location of any errors in your program.To enable this option uncheck "use fast download" in the tools menu. Added "Comm's Server" to the tools menu, allowing you to reload the server if you accidentally close it!